We made it to PEK in time to catch our Air China flight onward to Xi'an. 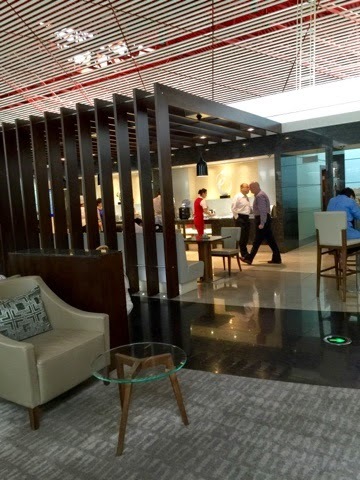 We're sitting in an Air China lounge feeling fine after long showers and some good coffee. 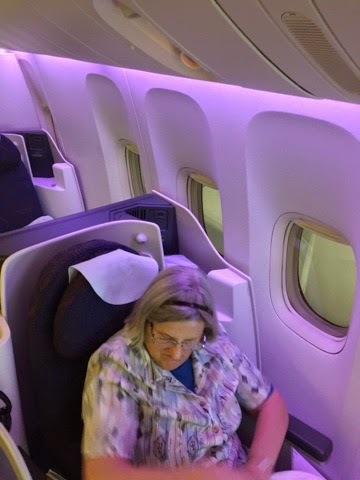 The Air China flight was among our best ever, with a great "hard product" (flatbed seats and lots of room) and "soft product" (service). We probably slept six or more hours each. Beijing arrivals are quiet before 5:00 a.m. but the airport is busy enough.